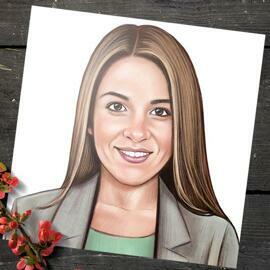 Get a bright caricature drawn in colored digital style with one color background. 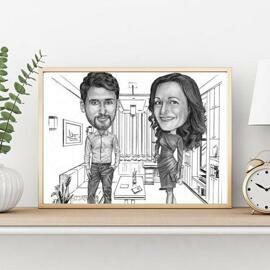 Caricature will be designed by professional artist from regular photo, which should be of a high quality with clear color of eyes and hair. 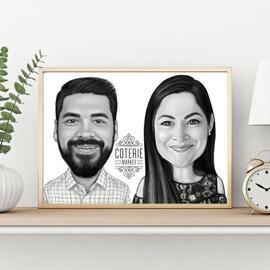 Upload the most beautiful and favorite photo of yourself or a person whom we have to get drawn, and we will draw an amazing caricature of anyone upon your wish. 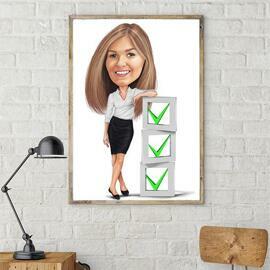 Caricature character will be drawn in very funny exaggeration level. 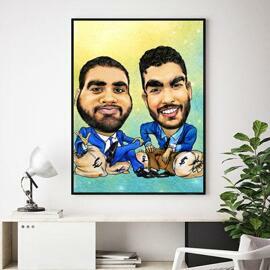 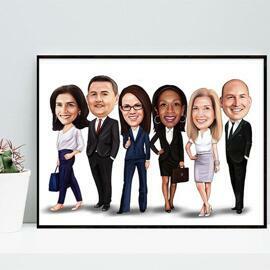 You will get a ready-to-be-printed-caricature drawing as a JPG File on Email by default. 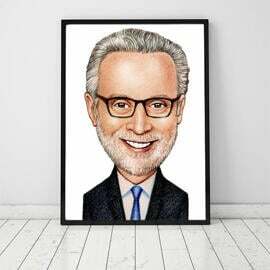 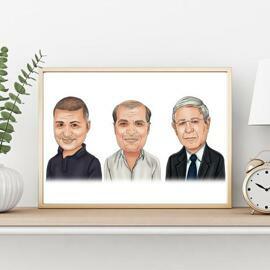 There are several delivery worldwide options: Personalized Caricature printed on Canvas, Photo paper or white mug of selected size.